Talk about a busy weekend. I reserved a little section of Sunday afternoon to figure out how to do Reddit and to blog so I could post a Monday blog tomorrow. Well, you know, in life things never go as planned. I woke up this morning, went for an amazing run in 55 degrees weather (I love Fall), and came home to boot up the computer so I could watch an episode of How I Met Your Mother, before taking my kids to church. Guess what? WiFi didn’t work. Hubby investigated. The box shorted out, and I won’t have working WiFi until Tuesday. This is like an author’s biggest nightmare! 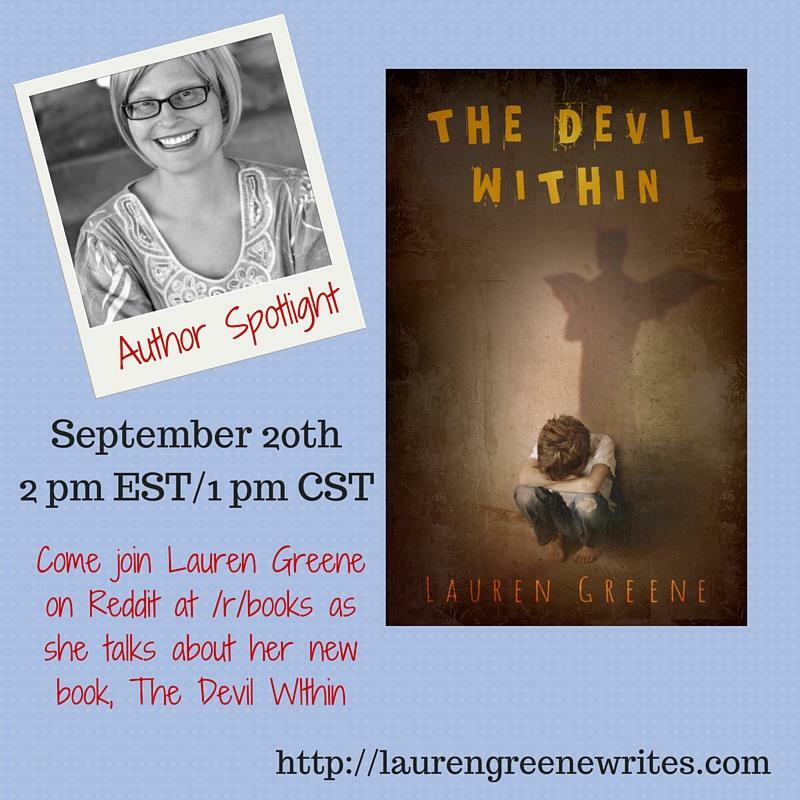 I mean, how will I let the world know what I’m up to and that I have a Reddit Q&A on The Devil Within coming up this Sunday, September 20th? I took a nap after the church picnic, and then I came to Starbucks so you lovelies would have a chance to read my Monday Blog. For some reason, Pandora won’t play and I’m stuck listening to people’s conversations and the elevator music in the background, but hey, at least I have WiFi! So I hope you will all be able to make it to the author event on September 20th. I will answer any questions you may have about The Devil Within. For those of you who haven’t read it, you can find the book on Amazon I ebook for $2.99 and paperback for $11.95. I hope to see you all at the Reddit event at /r/ books at 1 PM on Sunday, September 20th! Make sure to come up with some great questions for me, and I’ll try my best to answer them.